Election Tracker LIVE: Prime Minister Narendra Modi will once again contest from Varanasi in Uttar Pradesh, the BJP announced on Thursday as it released its first list of 184 Lok Sabha candidates after a long wait. BJP president Amit Shah will contest the Lok Sabha poll from Gujarat's Gandhinagar. Shah's contesting from the seat is a virtual signal that BJP stalwart LK Advani's political career is over. Advani is the MP from Gandhinagar, and has held the seat six times. Union ministers Rajnath Singh and Nitin Gadkari have been fielded from Lucknow and Nagpur again respectively. Union minister Smriti Irani will once again take on Rahul Gandhi in Amethi, as she has been fielded from the Gandhi bastion after giving the Congress chief a tough fight in 2014. For the First Time in Its 37-year History, TDP to Fight a Solo Poll Battle in AP | The TDP, which was formed on the basis of self-respect of Telugu people, has decided for the first time to contest the upcoming parliamentary and assembly elections in Andhra Pradesh on its own. Following the recent drubbing in the Telangana assembly elections, which it contested as a junior partner to Congress, Telugu Desam Party (TDP) chief Chandrababu Naidu has resolved to contest the polls independently, a first since the party’s inception 37 years ago. Moon Moon Sen was dubbed a giant killer after she defeated nine-time CPI(M) MP Basudeb Acharia in Bankura in 2014. There was the expectation that the party would make major changes in the ticket distribution in Uttar Pradesh to buck the anti-incumbency trend, but has dropped only six MPs in its first list of 28 candidates from the state. 'I am not like other politicians, people here (Mathura) like my work,' MP Hema Malini said after the BJP released its first candidate list for the upcoming Lok Sabha elections. Sources said a senior RSS leader had conveyed the party's decision to LK Advani. Smriti Irani told CNN-News18, “Rahul Gandhi never found a minute to address the issues of Amethi. I shall be in Amethi soon. A powerful political family has been challenged by a ‘chaiwaala’. We have stood with the people who have voted for us in Amethi and we will also stand with the ones who didn't vote for us.“ It is a matter of pride when one generation in a party takes over from the other, Irani on Congress spokesperson Randeep Surjewala’s tweet on fielding Amit Shah in LK Advani’s Gandhinagar seat. TDP founding president and late Chief Minister, NT Ramarao’s daughter Purandareshwari to contest from Visakhapatnam Lok Sabha seat for the BJP. She will be up against her brother Balakrishna's son-in-law Bharat of the TDP. While former IPS officer Laxmi Narayana will contest for the same seat for Jana Sena. “When Modiji does not respect older ones, how will he respect the public faith?” Congress spokesperson Randeep Surjewala tweeted on Amit Shah being fielded from LK Advani's Gandhinagar seat. Here is the full list of BJP's 184 candidates contesting for the upcoming Lok Sabha elections. The BJP has released the first candidates list for the upcoming Lok Sabha elections. 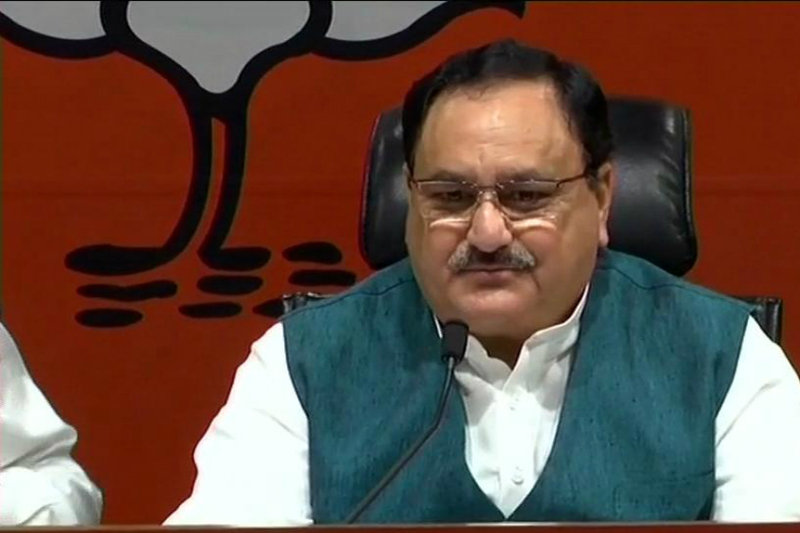 Union minister JP Nadda announced the names of 184 candidates contesting in the elections in a press conference held at the party’s headquarters in Delhi. Prime Minister Narendra Modi is likely to contest from Varanasi, Rajnath Singh to contest from Lucknow, BJP president Amit Shah will contest from Gandhinagar and VK Singh from Ghaziabad. The list comes a day after the BJP's central election committee (CEC) met for the third time to finalise names for the general elections. 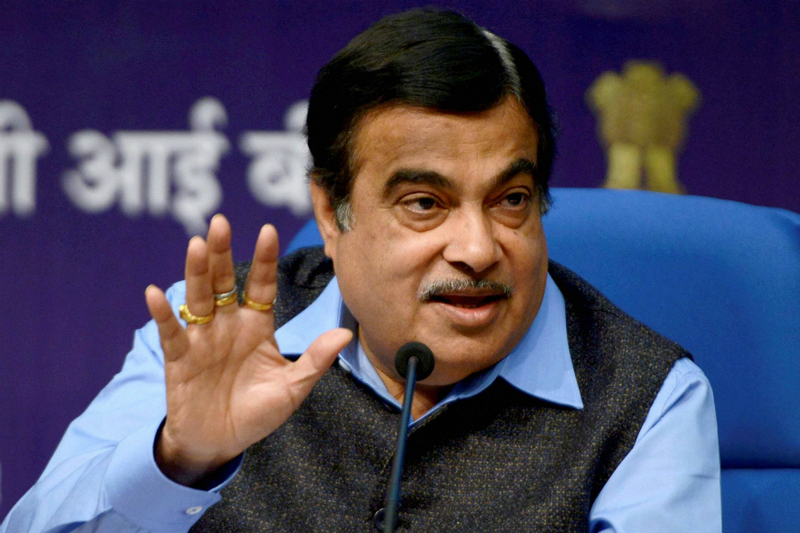 In his first reaction after BJP released its first candidate list, Nitin Gadkari said, “I will win Nagpur with a bigger margin...I have a lot more work to do and I will get it done." Jugal Kishore to contest from Jammu, Dr Jitendra Singh from Udhampur, Sofi Yousuf from Anantnag, Khalid Jehangir from Srinagar, Kummanam Rajasekharan gets Thiruvananthapuram, Subhash Bhamre to contest from Dhule, Hansraj Ahir from Chandrapur, Poonam Mahajan from Mumbai North Central: Nadda. He also announced that the party would field Babul Supriyo from Asanasol, Rahul Sinha from Kolkata North and CK Bose from Kolkata South. 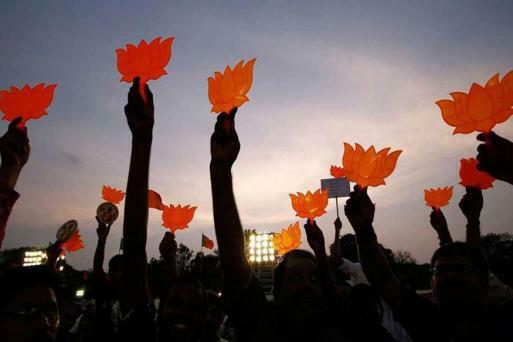 JP Nadda announced the first list of BJP's 184 candidates to contest in the Lok Sabha polls. Prime Minister Narendra Modi will contest from Varanasi again, BJP president Amit Shah from Gandhinagar, Rajnath Singh to contest from Lucknow, Nitin Gadkari to contest from Nagpur, Nadda said. The BJP press conference begins at the party headquarters in Delhi. JP Nadda will announce the first list of candidates to contest in the Lok Sabha Polls. The list comes a day after the BJP's central election committee (CEC) met for a third time to finalise names for the general elections. Bengaluru North is presently held by BJP's Sadananda Gowda, who was the former chief minister of the state. 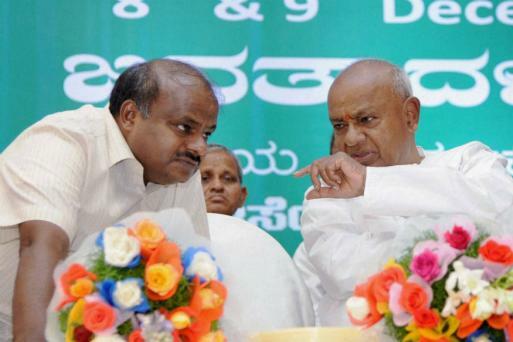 The constituency is also a Vokkaliga stronghold, which is why Deve Gowda had decided to claim the constituency during seat sharing with Congress. Congress Lok Sabha candidate from Mahabubnagar in Telangana Ch Vamsichand Reddy sought the support of CPI in the election. Vamsichand Reddy met CPI state secretary Chada Venkat Reddy and sought the cooperation of the Communist party to defeat the ruling Telangana Rashtra Samithi and the BJP which are allegedly following "undemocratic" and "anti-people" policies, Congress sources said. Nagaland Congress president K Therie announced that former chief minister KL Chishi would be the party's candidate for the lone Lok Sabha seat in the state. Therie also announced that Alemjonshi Longkumer would the Congress candidate for the bypoll to the Aonglenden Assembly constituency in the state. Therie alleged that RSS and BJP do not have any solution for Naga political problem as their ideology is to enforce Uniform Civil Code throughout the country. Rishabh Nanda, son of Biju Janata Dal (BJD) Rajya Sabha Member Prashanta Nanda, joins Bharatiya Janata Party in presence of Union Minister Dharmendra Pradhan. Three Fake Campaign Busted in Single Day: Jaitley | Union Minister Arun Jaitley's new blog — says three fake campaigns of the opposition has been busted in a single day. He lists out the three fake campaigns as - the theory of ‘Hindu terror’, Godhra train fire of 2001 and Nirav Modi arrest. “To each fake campaign of the ‘Compulsive Contrarians’ over a period of time, ultimately the truth has prevailed. Either it is the electoral mandate or the judicial process which gives the final verdict,” Jaitley said. The Election Commission has stalled the loan waiver scheme of the Karnataka government on a temporary basis as the model code of conduct is in place now due to upcoming Lok Sabha polls. No new payments can be processed, same with Pradhan Mantri Kisan Yojana, Karnataka Additional Chief Electoral Officer said. Indian National Lok Dal (INLD) MLA Ranbeer Gangwa joins BJP in the presence of Haryana CM Manohar Lal Khattar. TDP's Nama Nageswara Rao Joins TRS in Telangana | Ahead of the Lok Sabha polls, former MP Nama Nageswara Rao, who quit the TDP this week, joined the ruling TRS in Telangana. Nageswara Rao, who was a member of TDP's polit bureau, was welcomed into the Telangana Rashtra Samithi fold by its working president K T Rama Rao here, TRS sources said. Nageswara Rao, who was Lok Sabha member from Khammam in Telangana, had sent a letter to Telugu Desam Party president and Andhra Pradesh Chief Minister N Chandrababu Naidu, claiming that the survival of TDP in Telangana has become a question in spite of his best efforts. Jana Sena President Pawan Kalyan files nomination papers for Gajuwaka Assembly constituency. Kalyan will contest the April 11 assembly election in Andhra Pradesh from Gajuwaka and Bhimavaram constituencies. After an intensive survey in various constituencies, the party general body chose these seats for Kalyan and he has agreed to contest from there. Gajuwaka is in Visakhapatnam district and Bhimavaram in West Godavari. File photos of Rahul Gandhi and Smriti Irani. The list comes a day after the BJP's central election panel met for a third time to finalise names for the Lok Sabha elections. The party has named 182 candidates. The Congress has already announced its candidates for 146 seats across several states in six lists for the election starting April 11. The BJP has also released the candidates list for the upcoming Assembly elections in Arunachal Pradesh and Sikkim which will coincide with the Lok Sabha polls. The Election Commission, meanwhile, has said that Congress president Rahul Gandhi's interaction with students at a women's college in Chennai did not violate the model code of conduct, though it has sought a report on his speech. Tamil Nadu's Chief Electoral Officer said local election officials have reported that there was no violation in terms of permission obtained by Stella Maris College for Women to host the interaction on March 13. Earlier, the Tamil Nadu government had ordered an inquiry as to how the college gave its approval for Rahul Gandhi to interact with its students when the model code for elections was in force. The Director of Collegiate Education had directed a subordinate official to inquire into the matter.